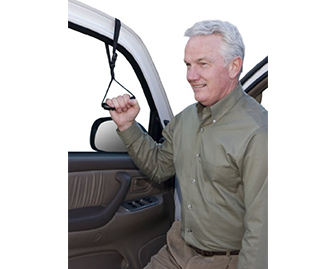 A hand strap that is tied to your car door that someone can use to pull themselves into standing from a car seat. You will need someone to help brace the car door as it will move when you try to pull yourself up. Great for low cars. 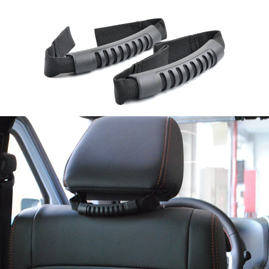 An assistive aid that is commonly used to help with repositioning and weight shifting for a passenger sitting in the rear of a car. Great for people with decreased endurance and for low car seats. 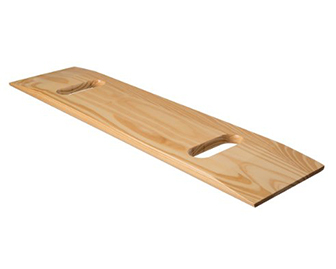 A wooden board that is placed underneath a person with the other end resting on a similar height surface. One can then weight shift / slide across until they reach the other side. Great for those that have difficulty standing. 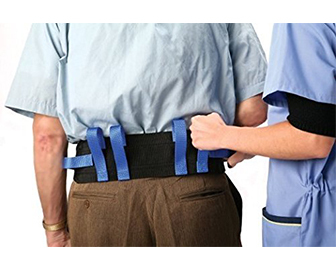 A fabric belt that is securely tied around one’s waist and used by a caregiver to support one’s walking or transfers. Commonly used in rehab settings but also in the home for patients that are at high risk of falls and need assistance with getting up or walking. A cane with four points instead of the normal one. 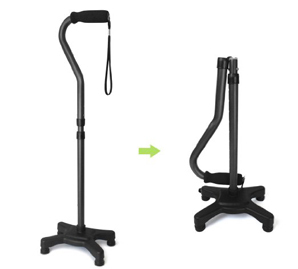 This gives the cane and the user greater stability and can help with walking longer distances safely. Great for those that have mild difficulty with their walking. A seat that can fold up against the wall and be lowered as needed. 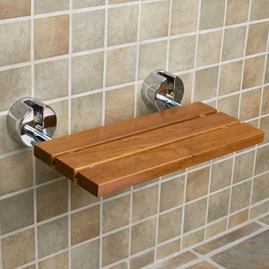 Installed in showers, this allows someone to use the seat as needed and fold it away when it is not in use. Great for small showers or for shared showers if properly cleaned.